One of the main goals of sustainable landscaping is water conservation. Billy Goodnick in Santa Barbara, CA. 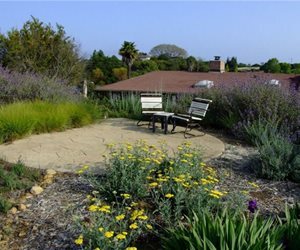 According to the Santa Barbara County Water Agency, "sustainable landscaping asks us to examine the input and output of our landscaping and find ways to minimize both." 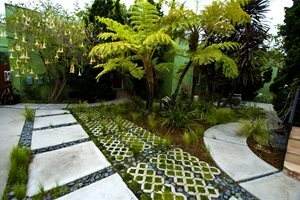 Many cities offer landscaping rebates to homeowners that make sustainable upgrades. 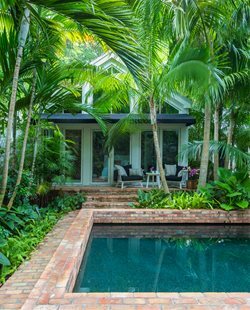 The main goals of sustainable landscape design are to conserve water and energy, reduce waste and decrease runoff. In order to achieve these goals residential gardens should treat water as a resource, value soil, preserve existing plants and conserve material resources. The demand for water is at an all-time high. 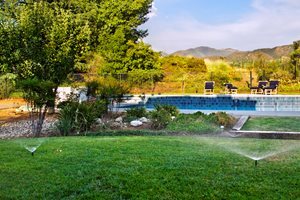 Wasteful irrigation accounts for over one-third of the residential water use in the United States. Additionally, rainwater is treated as waste and allowed to flow into gutters and sewers. 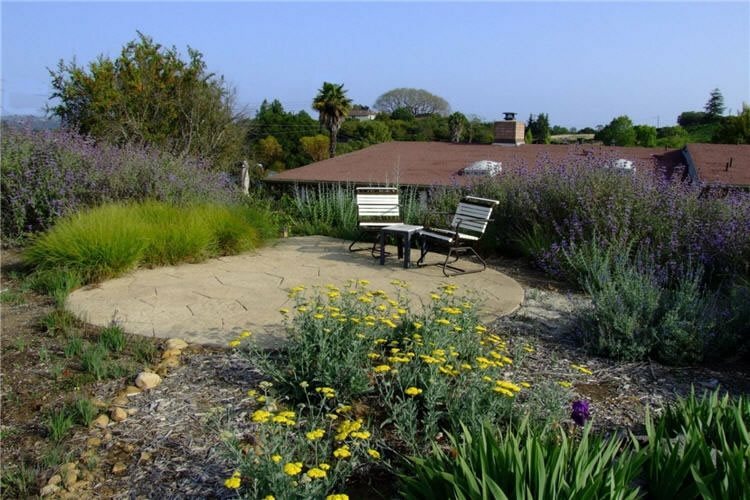 A sustainable landscaping approach would be to treat water as a valuable resource. 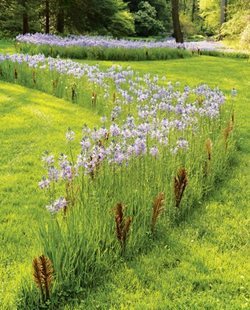 With proper design and plant selection, the need for irrigation can be reduced or eliminated. Furthermore, rainwater harvesting can be to capture stormwater on site and use it for irrigation. It's likely that your garden's soil is compacted. Compacted soil leads to problems such as restricted plant growth, erosion, runoff and flooding. Runoff caused by compacted soils is one of the main sources of water pollution. Many homeowners want to remove all the plants from their property so that they can start with a clean slate. Often this ends up doing harm because it disrupts the natural processes occurring in the yard. 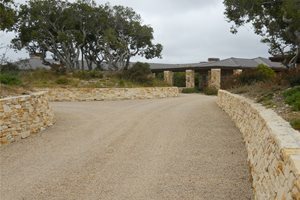 A sustainable landscaping approach would be to assess the existing plant material and preserve native plants. Invasive, non-native plants should be removed and replaced with a more appropriate choice. 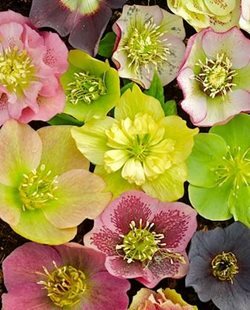 Right plant, right place is a popular saying that should guide your plant selection. The typical American landscape produces high amounts of yard and construction waste. Additionally, many of the hardscape materials used are energy-intensive and transported hundreds, or even thousands of miles. A sustainable landscaping approach would be to reduce yard waste by selecting appropriately sized plants and reusing and recycling construction waste. Furthermore, building materials should be carefully selected, using locally sourced materials whenever possible.